This week on Film Score Focus we're saying adieu to Michel Legrand who passed away on January 26, 2019. Legrand was a titan in the film music world. His lush, romantic, heartfelt, and emotional music graced more than 200 films and television series. He was known for composing infectious melodies draped in rich, color harmonies that literally dripped with emotion. The world mourns his loss but we're thankful for the bountiful treasures he left behind. 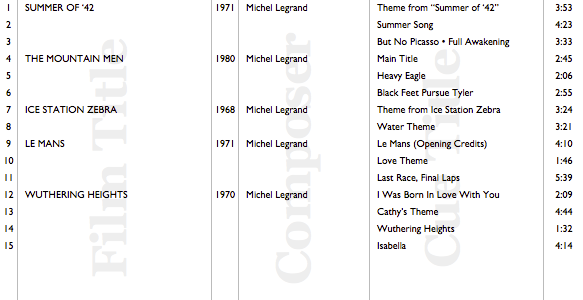 Here's the lineup for FSF-664 "Adieu to Michel Legrand"